Patients who require ongoing physiotherapy treatment for inner ear disorders (vestibular dysfunction) are receiving follow-up care three times faster thanks to a new outpatient service at QEII Hospital. 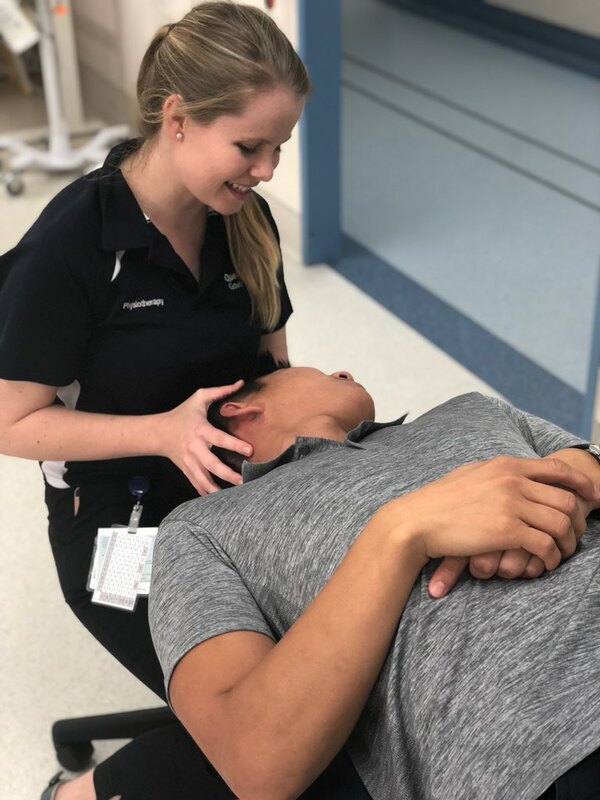 QEII Physiotherapist Alison Donker said vestibular dysfunction was the second most common condition seen by physiotherapists in the QEII Emergency Department. “Since 2013, the number of presentations to the QEII Emergency Department with vestibular dysfunction has risen significantly each year,” she said. “Problems with the vestibular system can cause vertigo, nausea, dizziness, vomiting, imbalance, and hearing and visual changes. And many patients require ongoing physiotherapy after they leave the hospital. In 2016 patients waited an average of 140 days to see a physiotherapist. In 2018, average wait times have reduced to 46 days, with priority patients seen within 30 days. The new Physiotherapy Outpatient Vestibular Clinic runs fortnightly and enables patients suffering from vestibular conditions to be assessed and managed in a timelier manner. “Once referred to the clinic, patients receive a thorough assessment and treatment from a physiotherapist trained in vestibular management,” Ms Donker said. The vestibular system is a sensory system of the inner ear that helps with balance. The number of Category 1 patients – those with the most urgent and life-threatening conditions, continue to rise across Metro South hospitals, recent data shows. QEII Hospital staff and some valuable volunteers from Rotary and Bunnings have dug deep to establish a community garden on campus.